A Compact Disc (also known as a CD) is an optical disc used to store digital data, originally developed for storing digital audio. 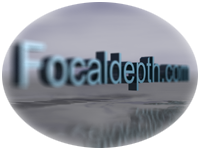 The CD, available on the market since late 1982, remains the standard playback medium for commercial audio recordings to the present day. DVD (also known as "Digital Versatile Disc" or "Digital Video Disc" - see Etymology) is a popular optical disc storage media format. Its main uses are video and data storage. 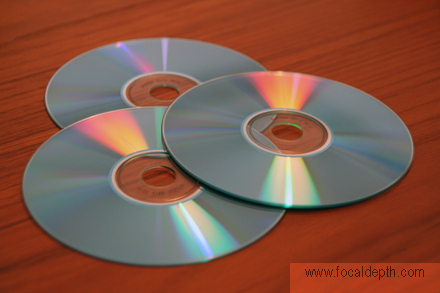 Most DVDs are of the same dimensions as compact discs (CDs) but store more than six times as much data. Variations of the term DVD often describe the way data is stored on the discs: DVD-ROM has data which can only be read and not written, DVD-R and DVD+R can only record data once and then function as a DVD-ROM. DVD-RW and DVD+RW can both record and erase data multiple times. The wavelength used by standard DVD lasers is 650 nm, and thus has a red color. Standard CDs have a diameter of 120 mm and can hold up to 80 minutes of audio. There is also the Mini CD, with diameters ranging from 60 to 80 mm; they are sometimes used for CD singles, storing up to 24 minutes of audio.